Hello friends! As bike camping/touring season ramps up for me, so begins the cycle of getting new things and getting rid of old things. 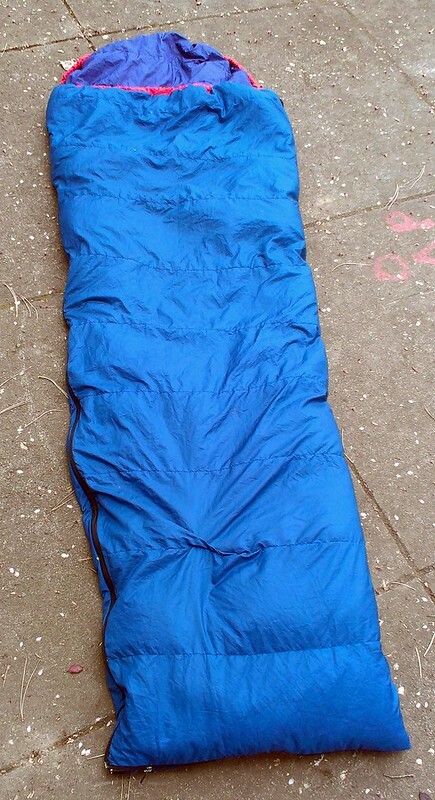 You saw that I was selling some stoves/cookware last month, and now it is time to part with my old sleeping bag. 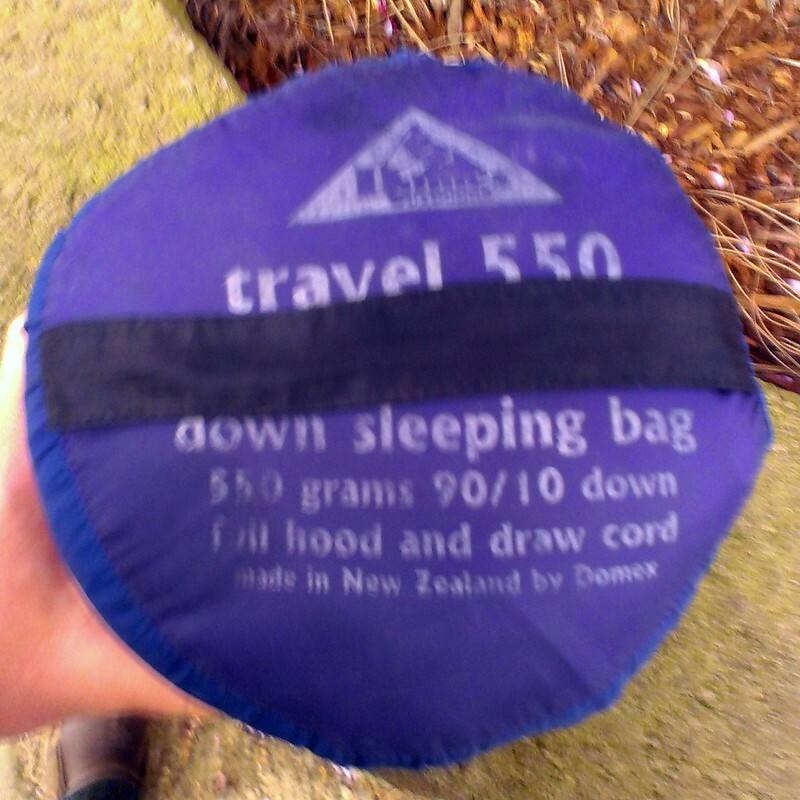 For sale is a Domex Traveller 550 90/10 Down Sleeping Bag. 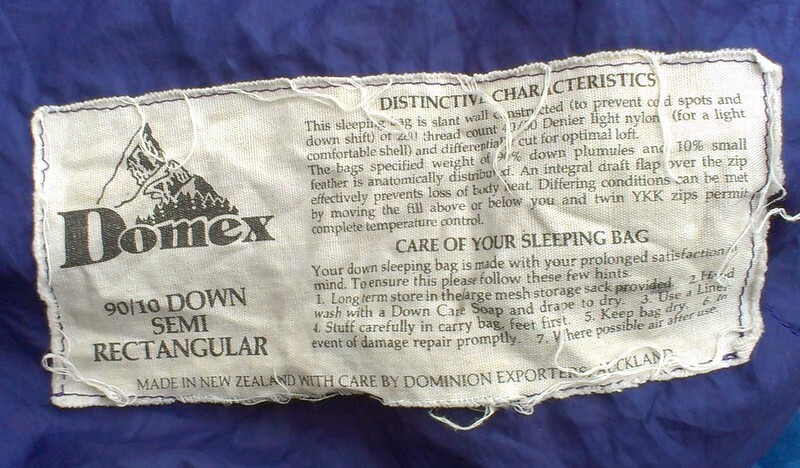 Domex (which is a syllabic contraction of "Dominion Exporters") is a New Zealand sleeping bag company. 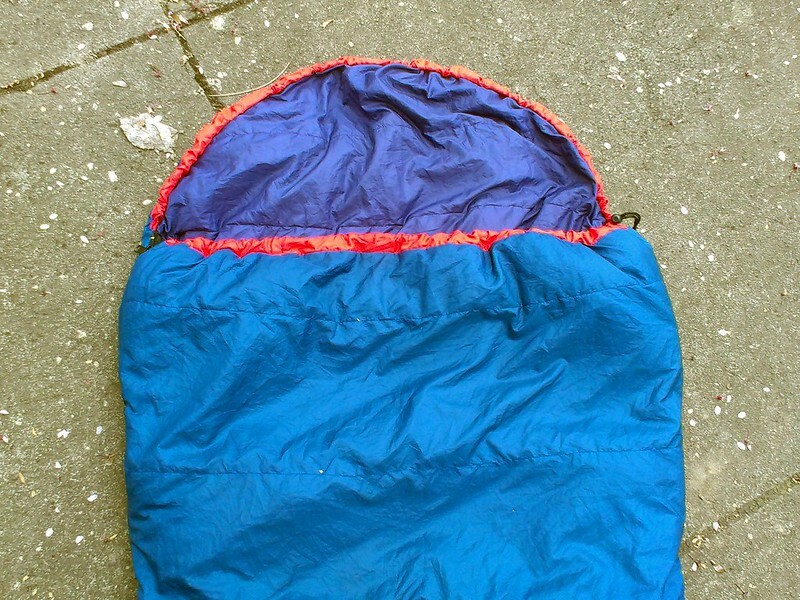 Alas, there is scant info about them on the internet, and they don't even seem to have a website, but it looks like they are still producing sleeping bags. The shape of the bag is "semi-rectangular", which is somewhere in between a more traditional rectangular bag and a modern mummy bag. 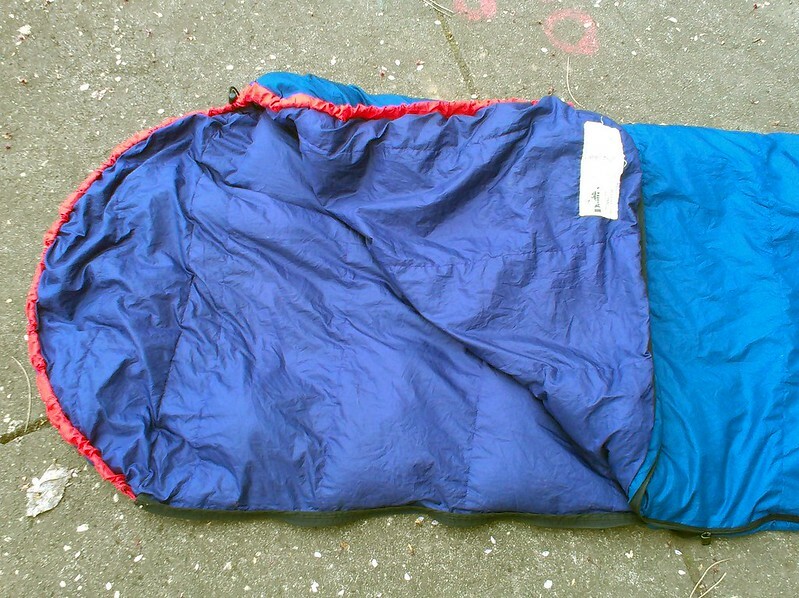 The rough dimensions of the bag are 76 inches long and 28 inches at its widest near the top (head). It tapers down to 20 inches near the feet. Pretty standard size for average sized adults. It zips on the left size (or on your right side when you are in it). 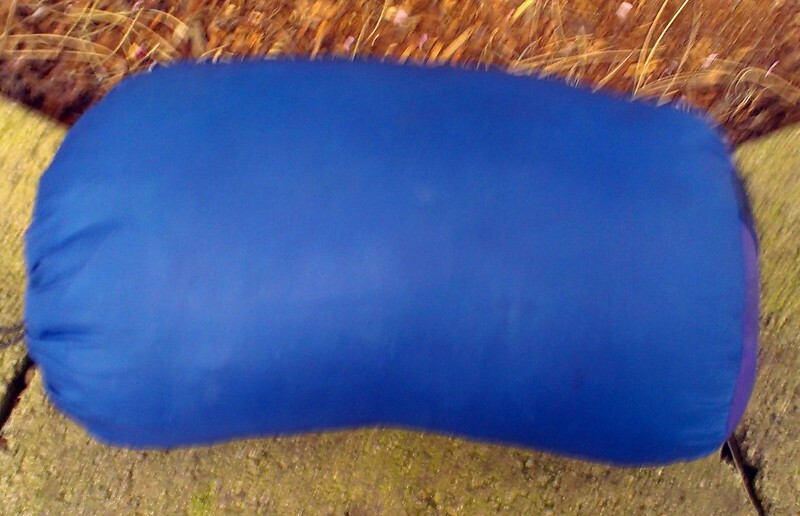 The fill is 550g 90/10 duck down, the outer shell is nylon. I don't know the age but by the looks of it looks 90's vintage. I would consider this now a two-season bag for later spring and summer camping/touring. Cosmetically the bag is in good shape with one caveat: there was a hole in the outer nylon shell that got patched...with a band aid. This was done by a previous owner. When I brought it by my local outdoor repair place a couple years ago when I obtained this bag, they advised me to leave it be. And it has held since then. It's on the bottom of the bag so you are not going to see it. The price of the bag is $40 plus shipping. It would probably fit into a medium sized Priority Mail flat rate box just fine. I'll ship it outside the US, but you probably are not going to want to pay for that shipping. Payment via paypal.